The El Limon-Guajes Mine, Mexico. Photo by Torex Gold. 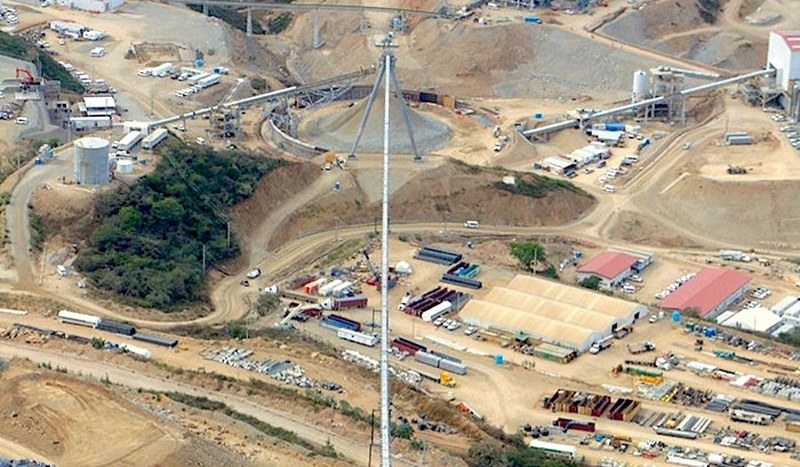 Canada’s Torex Gold Resources (TSX: TXG) announced that it has suspended employment contracts for its workforce in Mexico in response to a blockade at its El Limón-Guajes mine, located in the state of Guerrero and one of the richest open-pit gold deposits in the country. “This suspension is the direct result of an illegal blockade of its ELG Mine, by the Los Mineros Union, an outside union that wants to take over representation of the employees who already have a union. Since the blockade began, on November 3, 2017, the Company has continued to pay its workforce, except for the minority that has participated in the illegal blockade,” management said in a press release. The news wasn’t expected given that company officials have kept track of who is taking part in the blockade and they estimate that it is only 30 people. It came as a surprise as well because just four days ago, Torex organized a consultation process and 274 of the 520 people eligible to participate agreed upon aborting a 40-day long strike that was also taking place as part of the conflict with the union. But the suspension of the employment contracts became effective on December 16, 2017, and only a few in charge of managing the miner’s ongoing responsibilities won’t be affected. The Toronto-based firm showed a conciliatory tone towards its workers, different from the way it addressed the union led by Napoleón Gómez Urrutia, who is exiled in Vancouver. “It is now clear Los Mineros does not intend to honour the democratic will of the employees. With this clarity, it is time for government authorities to remove the illegal blockade, as they have committed to do, and restore the rule of law,” the communiqué reads. Torex said it is committed to continuing working with the Federal Labour Board to expedite the legal process and conversations that are intended to set up the foundations for a new consultation in which workers will decide which union ends up managing their collective agreement. Currently, they are represented by the Confederation of Mexican Workers, but members of Los Mineros, whose actual name is National Union of Mine, Metal, Steel and Allied Workers of the Mexican Republic, say workers want to switch.